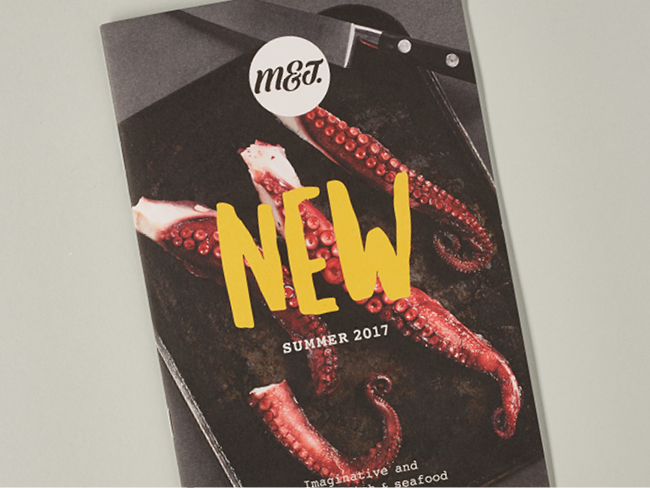 We’d been working with M&J Seafood for some time before we were asked to give their positioning and visual identity a kick. 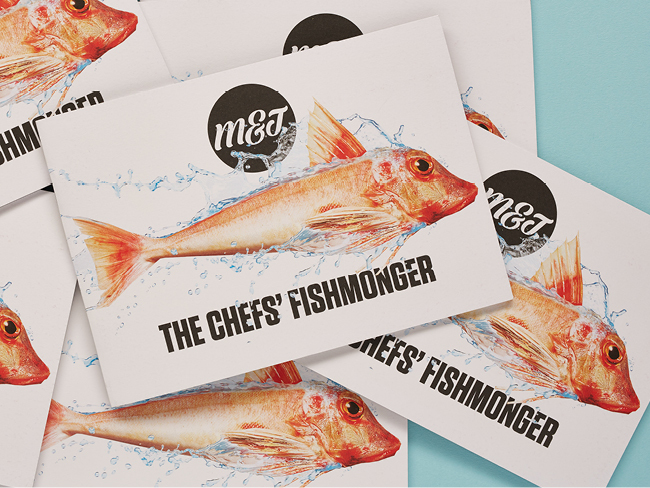 Like many companies we work with, they were keen to shake off their bland corporate veneer and to look and sound like they really were…honest to god fishmongers. Our starting point was the Guvnor. 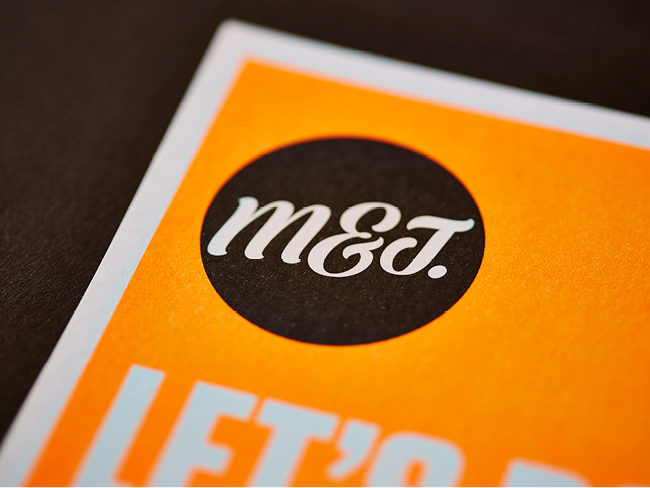 A no-nonsense, bold, plain-talking brand persona who informed M&J’s identity and whose tone of voice was instantly recognised by customers and employees alike. He is our constant guide. If ever we’re not sure how to proceed we ask ourselves…what would the Guvnor do? 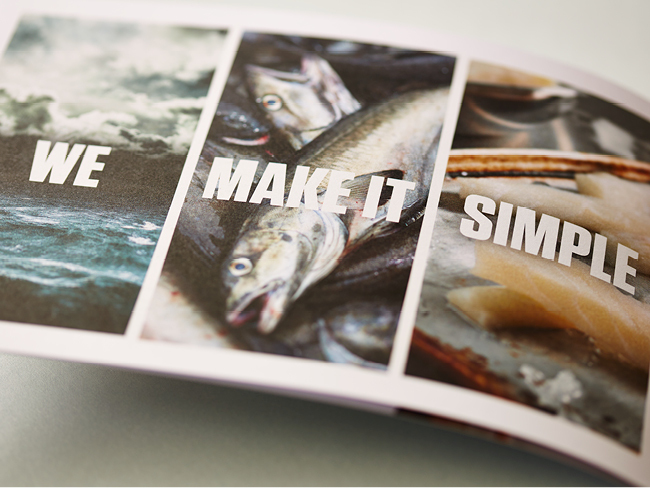 Salt of the earth marketing comms and trade marketing that’s simple and to the point. 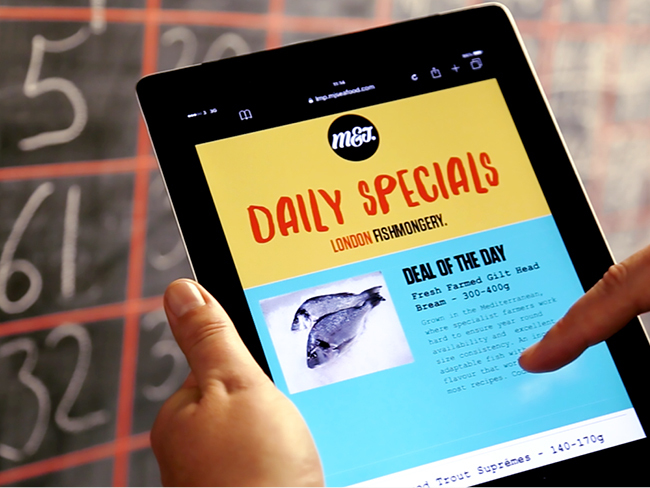 We take what’s on their black boards and push it online, bringing the quayside to the chef’s tablet. 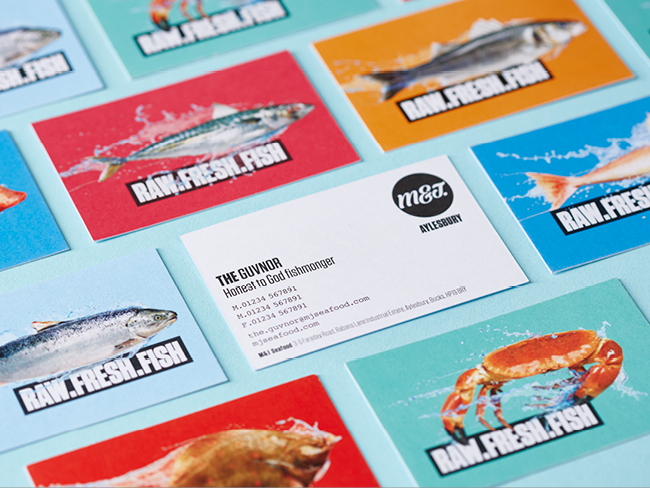 We make it local. 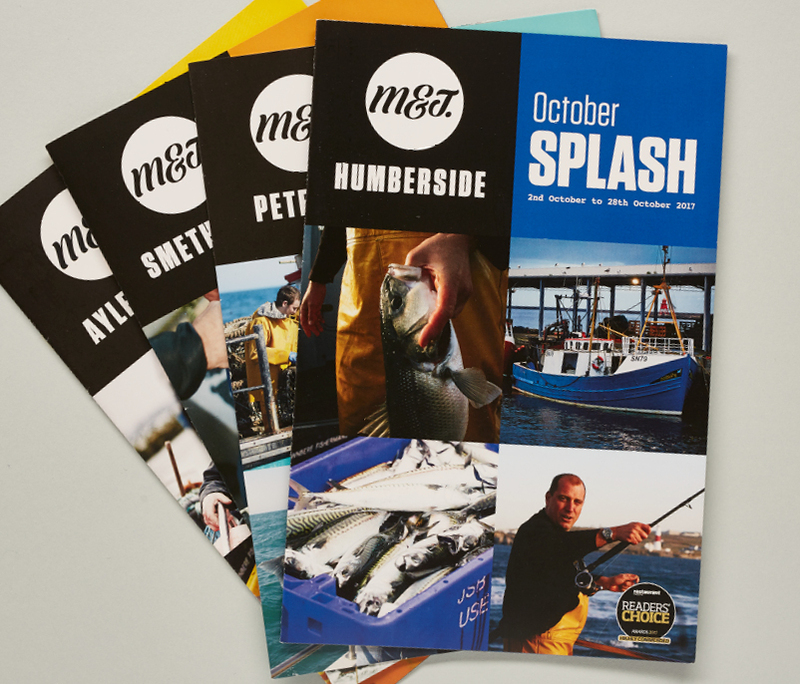 Direct mail, cleverly designed so each branch location has its own version, emphasising the local reality of fresh fishmongery. 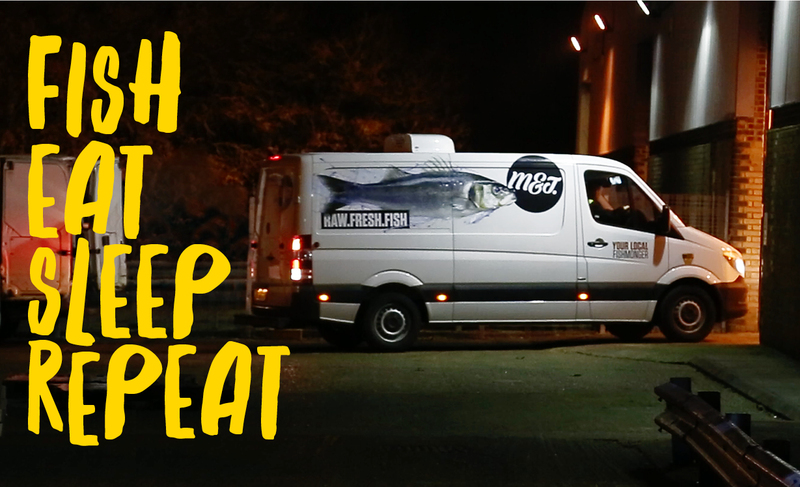 We make the frozen… chilled. 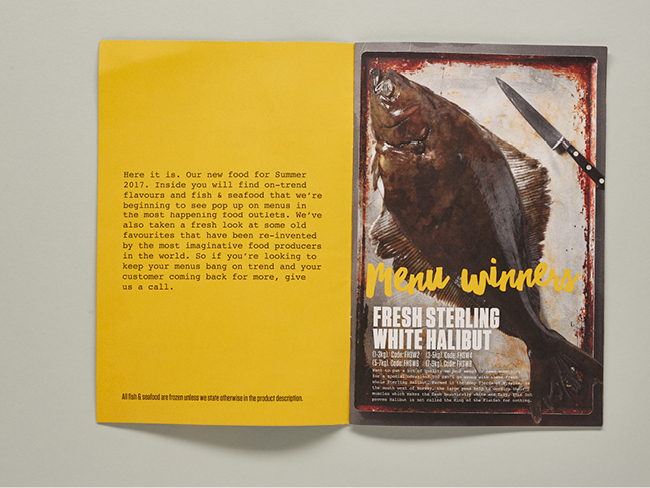 Bold art direction gives a photographic library that’s true to the guvnor and relevant to the chef. You’ll find no scrubbed wood here.